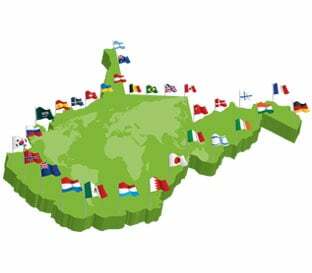 Jessica Son, Senior Commercial Specialist for the U.S. Embassy-Commercial Service in Korea, visited West Virginia from Nov. 30 to Dec. 3 at the invitation of the West Virginia Development Office (WVDO). During the WVDO’s trade mission to South Korea and Japan in September 2017, Ms. 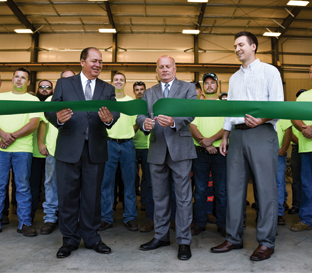 Son was one of the Commercial Service Industry Specialists who helped West Virginia businesses understand their market potential through market research and business-to-business matchmaking services. Before her visit to the Mountain State, Ms. Son was in the region attending the 51st Annual National RV Trade Show in Louisville, Kentucky. She brought a delegation of 14 Korean buyers to the show. Ms. 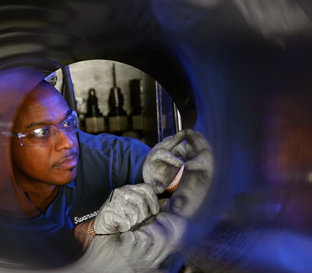 Son handles a diverse array of industry sectors, many of which relate to West Virginia’s target economic sectors including: ceramics and composites, general industrial equipment and supplies, CNC applications, wood products, iron/steel, non-ferrous metals, machine tools, electrical power systems, materials handling machinery, robotics, textile machinery, and travel and tourism. Ms. 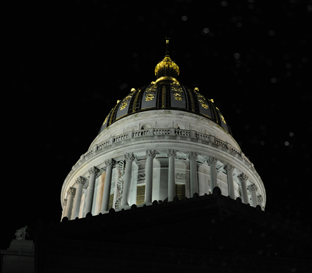 Son met with a variety of West Virginia entities, including Tourism representatives, local businesses and the Fayetteville Convention and Visitors Bureau during her visit. The next morning, Ms. Son visited with Kara Moore, Deputy Commissioner with the Tourism Division under the West Virginia Department of Commerce, to exchange ideas on how to target the Korean travel market and strategies to successfully promote West Virginia as a travel destination. After the Tourism meeting, Ms. 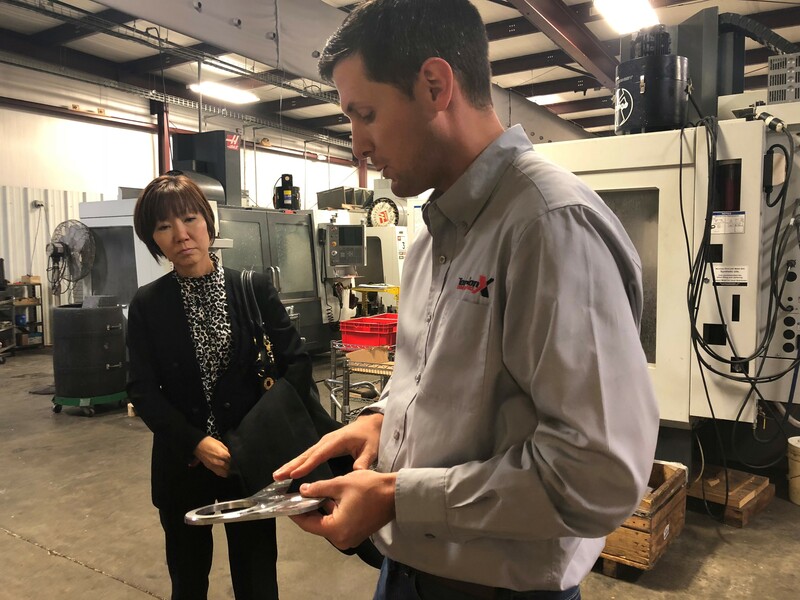 Son renewed her acquaintance with executives of Industrial Bolting Technologies, a company she worked with closely during the West Virginia Trade Mission to South Korea. Ms. Son helped Industrial Bolting Technology find a new distributor for its hydraulic torques in South Korea, which resulted in the company’s first order with the distributor. Elk River Woodworks also took the opportunity to call on Ms. Son’s expertise during her visit to the area. The family owned company sells unique slabs of hardwood for artisans to create one-of-a-kind works of furniture. 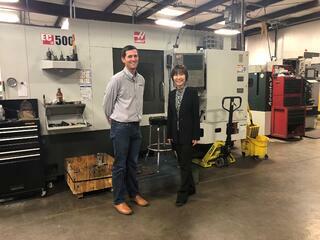 By sitting down together and discussing Elk River Woodworks’ export goals for South Korea, Ms. Son identified possible hurdles the company might face at Customs and Border Control and listed steps necessary to avoid them. Ms. Son ended her visit to West Virginia with a day-trip to the Fayetteville area Saturday, Dec. 2. The New River Gorge Convention and Visitors Bureau arranged a day of site visits, including a bridge-walk on the New River Gorge Bridge, lunch at The Station restaurant and a tour of The Adventures on the George to showcase the attractions Fayetteville has to offer. Ms. Son expressed her interest in coming back to West Virginia next year to see more of the Mountain State.